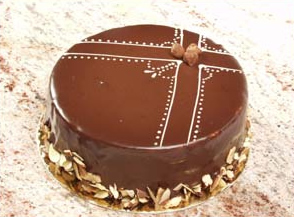 Like our mousse, this Gianduia cake has a wonderful praline texture and taste to it, combined with a delicious chocolate icing. This cake is perfect for any affair, whether its family or friends. If you have any questions about what to serve for your next party, give us a call – we’d be more than happy to make a few suggestions.